We are excited to announce that two Brightcove customers have recently received high-profile recognition for rich media experiences created with Brightcove StoryMaker. 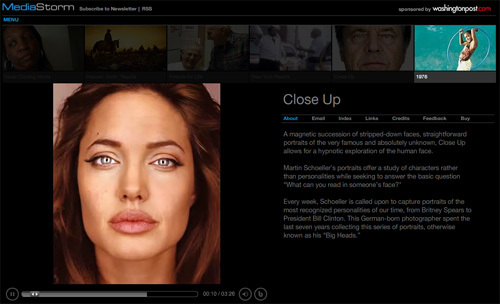 With StoryMaker, non-technical producers can enhance websites and Internet video channels with interactive photo galleries, audio tours, interactive maps and quizzes. 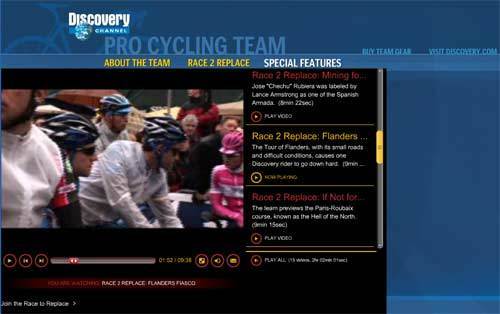 Discover Communications used StoryMaker to create and maintain a multi-media website for the Discovery Channel Pro Cycling Team, "Race to Replace." The site has won an Emmy Award in the Sports category. Another Brightcove customer, MediaStorm, has picked up a Webby Award in the Magazine category along with nominations in the Broadband category. MediaStorm also produced Never Coming Home for Slate Magazine which was nominated for a Webby in the News/Documentary/Public Service category.